If you are thumbing through this latest edition of Haven, you would probably agree with the statement, “Home is the Key.” Our homes are foundational to our well-being; it is where memories are made, where community is formed, where we feel a sense of stability and independence. For more than 30 years, Habitat for Humanity has worked with Greater Indianapolis families to achieve their dream of homeownership. Habitat homeowners crave stability and community; it’s why they work so hard for this opportunity! Families complete their hours of homebuyer education and volunteering all while maintaining their income (and sometimes more than one job! ), eagerly dedicating themselves to their dream of homeownership. And they aren’t alone. Volunteers, many from professional building trades represented in this magazine, work alongside them on the journey. We all want a home to be proud of, we all want community, we all want to feel safe, we all want to feel connected to something bigger than ourselves. When we assist in creating a strong community for someone, we realize we are strengthening the same community for ourselves. Our community has come together to provide this opportunity for nearly 600 families in the Greater Indianapolis area. This is community work. Would you like to be a part of our upcoming work? Learn how you can help by visiting indyhabitat.org or indyrestore.com. For more information about the recent study with the Sagamore Institute, contact Ted Mosey at 317.777.6091 or tmosey@indyhabitat.org. 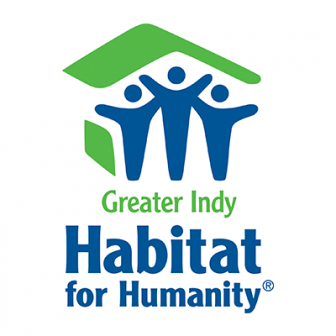 Habitat for Humanity has built homes for nearly 600 families in the Greater Indianapolis area. Want to be a part of it? Visit indyhabitat.org today!